This is the first in a series of posts about civic design, iconography, and branding. Some of these ideas I’ve had for awhile, but now with GOOD Ideas for Cities coming to Cincinnati I figure it is a good time to share. Chatype came about when D.J. Trischler, a brand consultant, discovered he’d been sitting next to typeface designer Jeremy Dooley at their local coffee shop. The two became fixated on a question: What if Chattanooga had its own typeface? The idea may sound strange from an American perspective, but it’s actually the norm throughout Europe, where even small cities employ unique typefaces to distinguish themselves. In the United States, the only similar attempt was a failed one by academics in the Twin Cities, according to the Chatype team. Yet Trischler and Dooley say this is the first-ever attempt to create custom typeface at the grassroots level, rather than from the demand of a city government. The two typeface designers started to sell the idea on KickStarter and just passed their fundraising goal of $10,000 with 5o hours left. So that’s where and why the question originates. Is this a good idea for Cincinnati? I don’t see the harm in employing unique fonts. After all, who doesn’t love typography? It would be noteworthy if Cincinnati was the first city, or at least the first major city, with its own typeface. It would be nice to have an identifiable municipal font used on everything from letterhead to bike lanes to street signs. A Cincinnati typeface (Cintype?) would be something that sets the city apart from other large American cities, and it relates nicely to Cincinnati’s growing reputation for design and branding. Are there any typeface designers in Cincinnati? I know of at least one Cincinnatian who has designed a typeface. His name is Tobias Brauer and he’s an associate professor of visual communication design at Northern Kentucky University. Read more about him and his first font here. 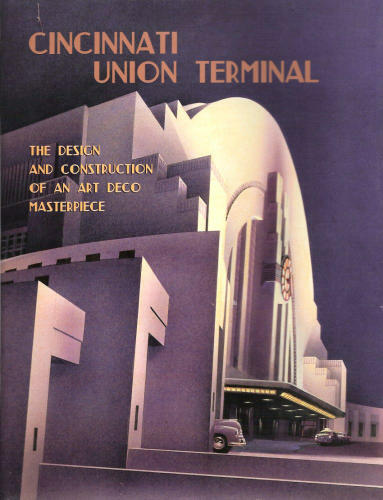 The Union Terminal typeface was not limited to Union Terminal, however. The Moerlein Lager House has some of it too. I noticed it in the Schoenling sign in yesterday’s post, and now I find out via 5chw4r7z’s post that it is the original sign from the Schoenling brewery that once stood on Central. Still, there are other Cincinnati typefaces that one finds if they go snooping. The prevalence of Art Deco typography in Cincinnati isn’t surprising considering its many striking buildings in that style. I’m not going to list them all, but there are several other fine examples beside Carew and Union Terminal. An Art Deco typeface may not be the most suitable for letterhead and street signs and street lettering, but the question remains: Could Cincinnati benefit from its own typeface? Thank you for pointing out our art deco typeface. I think it represents our city very well, but if we were to overdo it, it may lose its luster. When Cesar Pelli designed our Aronoff Center for the Performing Arts he incorporated the typeface into the building to help connect the modern arts center to our historical roots; when going from Proctor & Gamble Hall to the Jarson-Kaplan Theater, look up, you will see this typeface. 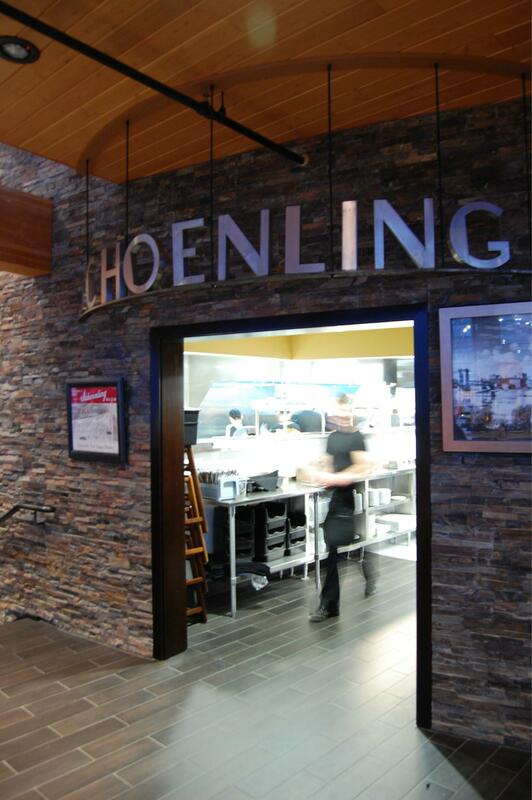 I was elated when I saw the typeface in the new Christian Moerlein Brewery on the river. 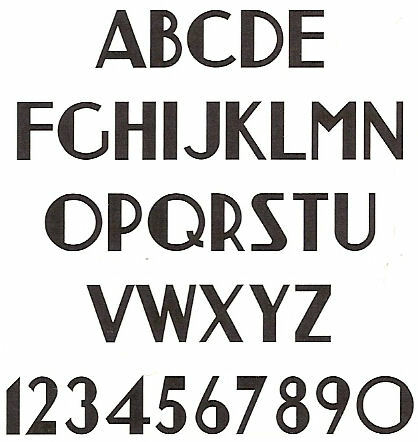 Part of our history is incorporated in this typeface. How great would it be if the city adopted this in street signage? Judging by the level of feedback I’ve received, I think the idea should be pursued. Interestingly enough, the Cincinnati Reds also have their own unique typeface. While decidedly different from the art deco typefaces you reference, it is still quite unique and identifiable. Thanks for noticing what’s happening here in Chattanooga with the creation and successful launch of a completely original civic typeface. See the latest at chatype.com. Tonight we will celebrate the fundraising campaign on Kickstarter that, like the Ohio River at Cincinnati, spilled over its banks. Among the 300 donors are many from across the nation who simply admire innovation in design, individuals without any apparent hometown ties to this city. Really? Isn’t it a bit late for that notion? The ethos of GOOD magazine suggests that truly “major” cities are the ones with vibrant, entrepreneurial cultures. Ultimately, these are the ones that lead. We believe that the most meaningful city rankings are not about relative population counts but quality-of-life and sustainable growth. You and Professor Brauer are always welcome to come here for a healthy dose of design inspiration — graphic and urban, product and landscape. We could invite you onboard a crown jewel of our riverfront and a National Historic Landmark — the Delta Queen. Your citizens may yet remember that its home berth from 1948 to 2008 was Cincinnati … until the Queen’s owners sent it downriver and into drydock, where Chattanooga entrepreneurs found and rescued it. Tonight we will raise our glasses of Big River ale in a hearty toast that Cincinnati might follow in Chattanooga’s wake. 1. By saying “the first major city with its own typeface,” I did not mean to insult Chattanooga. I simply meant to denote a difference in size and influence of our two fair cities. 2. I didn’t think it was too late to say such a thing because I was under the impression that Chatype’s implementation isn’t guaranteed by the success of its Kickstarter campaign. Certainly, I hope Chatype is successfully implemented. It seems only right that Chattanooga would continue to serve a laboratory of innovative civic design. We are amused and flattered by the interest of Cincinnati to follow our typography example, not insulted in the least. The implementation of Chatype in our community is beyond question. Because its creation was unsolicited and spontaneous, its adoption does not depend upon official endorsement by any public agencies. In fact, this grassroots birthright may be the right model for a wide range of civic innovations. Last night’s spirited outdoor event at The Crash Pad marked a $10,000 fundraising milestone, assuring the co-designers that have earned this community’s support. A handful of us have been recruited for participation in the next pilot stage of Chatype. Many other celebrants join me in reiterating the invitation to come to Chattanooga see for yourself. When you observe the many historic and current ties between our cities, you may conclude that both of us are indeed major-league places. The Old English “D” is pretty much a universally recognized symbol of the Detroit Tigers and is used quite a bit around town here in metro Detroit. As the article points out, people instantly know the “D” symbolizes Detroit…and not Dallas or Des Moines.